BAMAKO, Mali – The European and Developing Countries Clinical Trials Partnership (EDCTP) grants €10 million over five years to “WANECAM 2” a unique collaboration between antimalarial drug researchers in Africa and Europe from ten academic institutions, a pharmaceutical company, Novartis, and a not-for-profit product development partnership (PDP), Medicines for Malaria Venture. The grant will support African trials of a novel antimalarial combination comprising KAF156 (ganaplacide) and lumefantrine in a new once-daily formulation. KAF156 has demonstrated the potential to treat resistant malaria and to be administered as a single dose; the grant will also help to build and strengthen research capabilities in the four participating African countries: Burkina Faso, Gabon, Mali and Niger. The EDCTP has granted new funding of €10m over five years to support late-stage clinical trials of a next-generation antimalarial combination including KAF156 (ganaplacide). The trials will be conducted in four countries in West and Central Africa: Burkina Faso, Gabon, Mali and Niger. KAF156 , the new antimalarial compound that will be studied, holds the potential to be the first new chemical class of compound for the treatment of acute malaria in 20 years which in combination with the new formulation of lumefantrine could be administered as a single-dose treatment. The combination is currently in late-stage clinical trials across 17 centres in nine countries in Africa and Asia. It is being developed by Novartis with scientific and financial support from MMV (in collaboration with the Bill & Melinda Gates Foundation), and is one of seven late-stage antimalarials being developed by MMV partnerships. 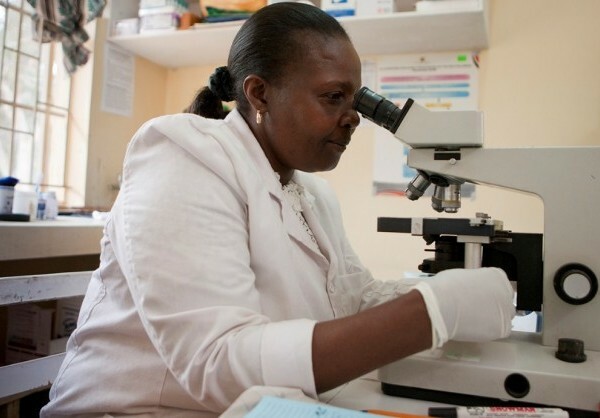 The EDCTP grant will fund two clinical trials for KAF156 in combination with a new formulation of lumefantrine which will include studying its effectiveness in children, the group most at risk of dying from malaria. If successful, data from these trials will support future submissions to register the medicine with regulatory authorities.